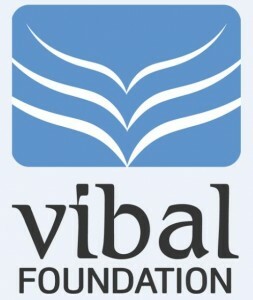 Our big thanks to Vibal Foundation for signing up as a gold sponsor for iBlog6. Vibal Foundation is the non-profit philanthropic arm of Vibal Publishing House, Inc. The Foundation fosters the development of knowledge, nurtures individual creativity, empowers communities, and provides knowledge to the public, primarily through support for digital media. The Foundation was established by Esther A. Vibal, president of VPHI, as a means to undertake various educational, social, and cultural programs that will improve the quality of life of Filipinos, especially the youth. The Foundation is committed to uphold the tradition of excellence which Hilarion P. Vibal, co-founder of VPHI, established throughout his lifetime. He won a scholarship to the University of the Philippines and became one of the first English-writing journalists. Eventually, he co-founded a publishing house which became a major force in education. “Local boy makes good and so should others,” he believed. The Foundation was created to fulfill his philanthropic vision. Realizing that people are the real wealth of a nation, Vibal willed that the Foundation should help create an environment where people can enjoy long and creative lives. He realized that when people set their own goals, develop their own approaches, and make their own decisions, human creativity and local problem-solving skills are enabled, and the resulting development is more likely to be self-sustaining. It was Mr. Vibal’s dream—and remains the Foundation’s goal—to empower communities and to bring improved opportunities to all. Knowledge and creativity are central to the richness of people’s lives and to the progress of societies. As change in our communities becomes more constant and as ideas, technologies and people move more rapidly, there is a profound desire to better understand the world, to connect more deeply with others, to come to terms with multiple and conflicting values and to find more meaningful ways to participate fully as citizens. It is the vision of Vibal Foundation to bring about positive changes in the lives of Filipinos everywhere through increased access to quality education. We work to support the perpetual human search for knowledge, meaning and understanding. The Foundation stresses the need to develop human capabilities as well as how those capabilities are used. People who can participate freely in socio-economic decision-making can work creatively for development. Sustainable development means less dependence on debt of any kind and more reliance on local resources and talents. Communities must be empowered to become change makers and solve their own problems through the organizations they devise. Private organizations are increasingly being called upon to deliver services and provide benefits to people at the community level. Non-governmental organizations (NGOs) have proven their effectiveness in enabling people to help themselves. Filipiniana.net (http://www.filipiniana.net) is a digital library of primary materials on Philippine history, science, culture and scholarly articles. WikiPilipinas (http://www.wikipilipinas.org) is an online encyclopedia of Philippine content. E-turo (http://www.e-turo.org) is a repository of free educational materials for Filipino teachers and students.